Wireless Headphones. I’d love new headphones since the ones I have come out every now and then. They don’t fit snug. I’ve had a good experience with Yurbuds but I lost my last pair. 2. Running Vest. I was searching for a running vest and stumbled upon the Sugoi Zap Run Vest. It looks like an ordinary vest but once artificial light hits the surface it becomes highly reflective, thousands of highly reflective beads spring to life for unrivaled visibility on lowlight workouts. This would be nice since I run in the dark. 3. Compression tights. I haven’t tried compression tights and think they would be great running in the cold. 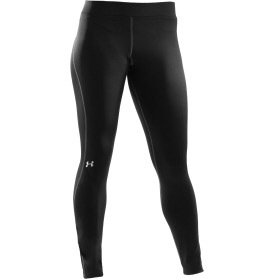 These Under Armour Women’s Authentic ColdGear Compression Leggings would be great. 4. Barbell set. 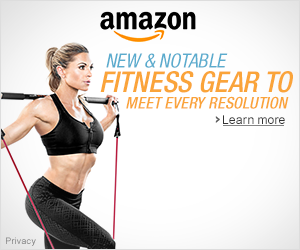 It would be nice to have a nice set of dumb bells. 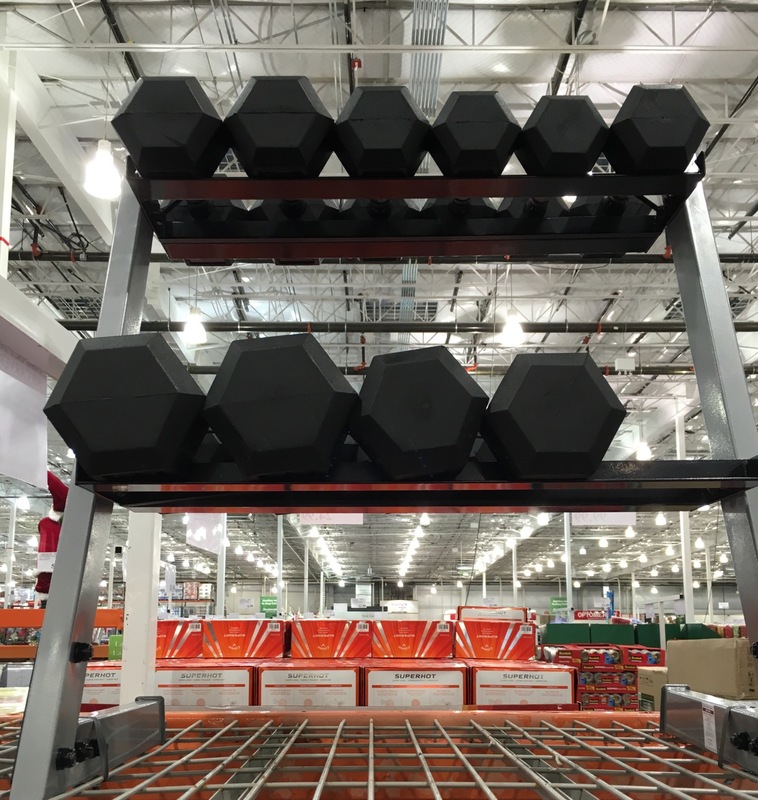 I saw these at Costco. 5. Running socks. My go to running socks are injinji socks. I can never have enough of these. Awesome! I haven’t tried under armour tights yet but those sound great! I’ve also been wanting to try out compression tights… One day! I love these! I totally need new headphones, so I’m hoping to find some for cheap at TJ Maxx or Marshalls when I’m home! I’d love some wireless headphones but they don’t seem to work with my ipod! Wireless headphones are great! That’s weird they don’t work with your ipod. I need new socks too!!! I’ve never considered the wireless headphones but they look nice. I love new socks, there’s no netter feeling than feeling like you are running on a cloud, lol. I also put new socks on my list. I haven’t tried the injinji ones yet but my sister has and said they were great! Yes to the vest! I need one so bad. I have a fleece vest but it’s not the same. Great list! Nice list! 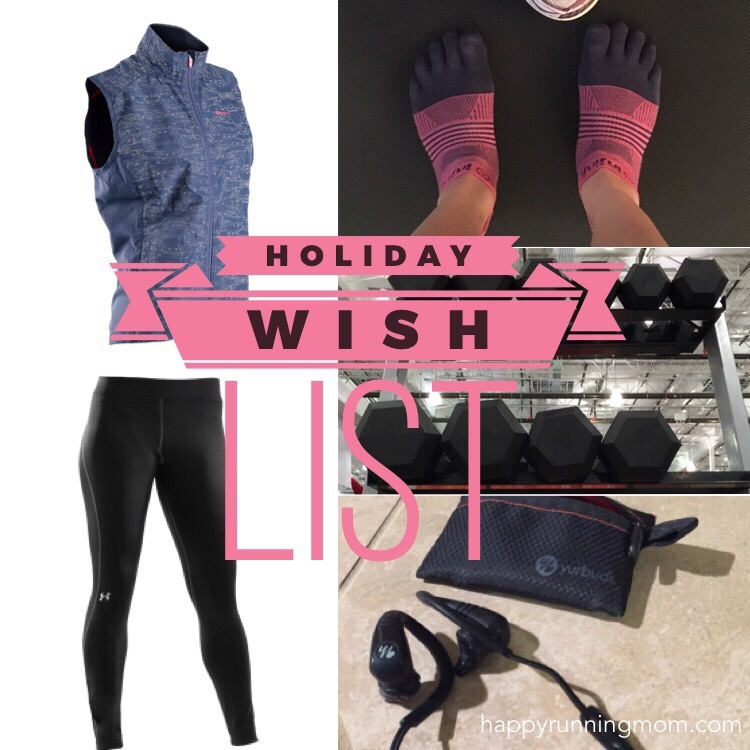 I still need to try those injinji socks! I really like my plantronics wireless headphones. That vest looks cool! Thanks Sharon! I’ve tried the plantronics but they don’t stay all the time for some weird reason. You should see the video on the vest. It’s really reflective. I’m looking for some quality headphones too! I’ve never run in compression tights but I hear Under Armor has great ones! And that vest sounds really cool! I use Yurbuds as well. I still haven’t tried a wireless set because I always imagined that they lose reception easily – not sure why I think this. You’ll have to let me know if you get some how they work. I hope you are enjoying the holiday season so far. Have a great weekend Sherry! Great list. Wireless headphones are a must. I love my Plantronics BackBeak FIT. I think a running vest is something I could really use this year too. One that’s reflective would be good, since I normally run in the morning and this time of year it’s still dark then. Thanks John! Yes, a reflective vest would be great for running in the dark. I was intrigued by the one I put on the list because there was a video on it and was highly reflective. Pricy though, but cool.